We are making apple cider right now in limited quantities. We recommend you call the orchard salesroom prior to making a trip. 256-437-9254. 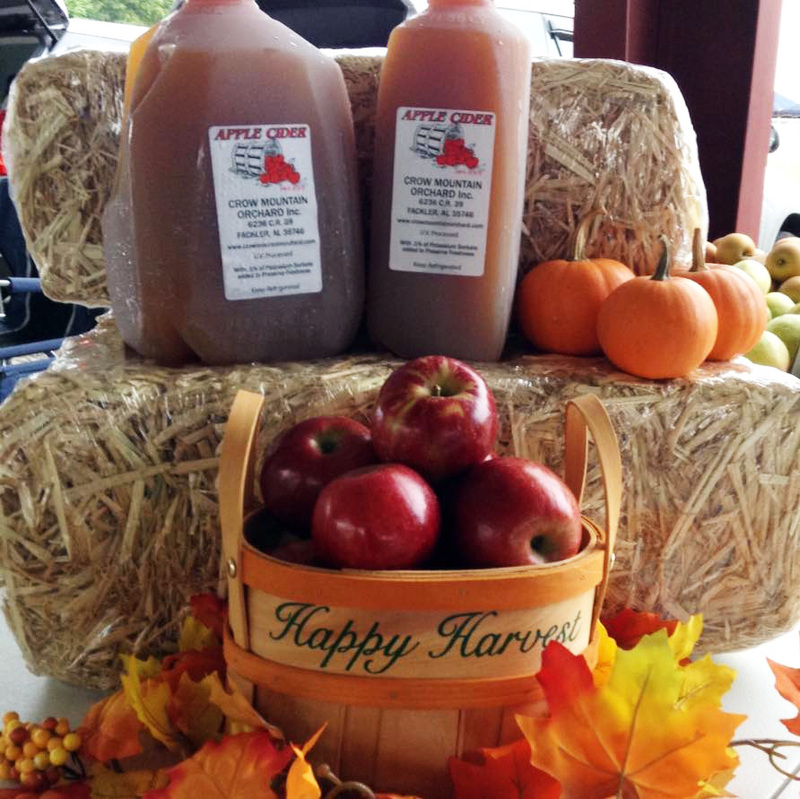 Crow Mountain Orchard apple cider is made 100% from our own apples and is pressed right here at the orchard using special blend of apples using my dad’s secret recipe. We never add any sugar. The cider is pasteurized using the latest technology to preserve the fresh apple taste. For many years I have served cider at fall parties and get-togethers as a warm punch. Your guests will believe you have gone to much trouble and ask for your “recipe”. I just heat a gallon of cider on the stove with a few cinnamon sticks, pour into a punch bowl including the cinnamon, and add some thin-sliced apples to float on the top. An alternative is to add a bit of seltzer or club soda to chilled cider. This was always my daughter’s favorite. Not every variety or container size of our fruit is available at the farmers markets due to limited space on the trucks. For a full selection we encourage you to visit the orchard salesroom from 8 to 5, seven days a week.